Should you wish tocancel your stay, please do so 3 days prior to arrival date so as to avoidthe cancellation penalty. Please note that the total amount ofthe booking (including taxes) is applicable if cancellationrequest is received after the above-mentioned deadline. Children aged 4-11 years old must stay in a private room and must be booked into a separate bed. Children aged 12-17 years old can stay in a dormitory with an adult accompanying and must be booked into a separate bed. Guests aged 18-20 years old are allowed to stay in a dormitory or private room without an adult company. (But a signed agreement by parents/guardian is required upon check-in). In the event of no-show, the total amount(including taxes) of the booking is applicable. The total amount ofthe booking (including taxes) is applicable if hostel is informed ofthe cancellation less than 3 days before check-in. For the safety and security of all guests,visitors are only permitted at the reception area. Check in – 1600 hrs. Guests who arrive prior to check-in time may use our facilities or leave their bags with us whilst exploring the city. Likewise, guest with late flight or bus may leave baggage with us at no additional cost. Personal data provided is confidential and will not be shared with any other entity. The data will be added to our database only for statistical studies of the Hotel and to inform guests of future promotions, events and news. In the event of no-show, the total amount of the booking is applicable. No charge incurred if hostel is informed 3 days prior to amended check-out date. Booking is non-refundable if hostel is informed less than 3 days prior to new check-out date. No charge if hostel is informed of the cancellation more than 3 days before check-in. Total amount of the booking is applicable if hostel is informed of the cancellation less than 3 days before check-in. 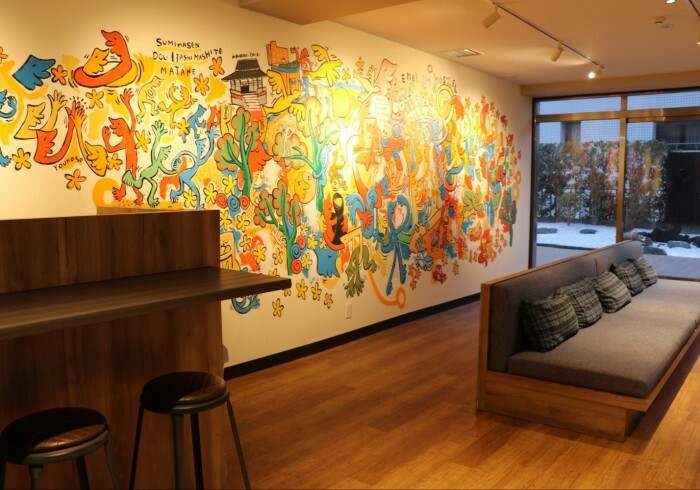 Open from December 2015, Emblem Hostel Nishiarai is just a 3-minute walk from Nishi Arai Station on the Tobu Skytree Line. It offers accommodation decorated with stylish interior. Cosy rooms come with a small table and a USB port. Guests can rent a bicycle to explore the surroundings. Free WiFi is available and breakfast is served daily at the on-site cafe. Nishiarai Emblem Hostel is conveniently located 1-minute walk from the super market. Tokyo Skytree and JR Ueno Station is approximately a 20-minute train ride from the nearby station while Haneda Airport is a 60-minute train ride away. Rooms are equipped with a small table and a power outlet. Free luggage storage is offered at the 24-hour front desk. Guests can prepare meals at the shared kitchen equipped with a microwave, fridge and kitchenware. There is also a shared lounge where guests can relax or surf the internet using the public computer. 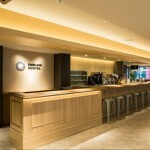 Beverages and light snacks are provided at The Round, open for breakfast, lunch and dinner hours.